Many Thais trace their roots to China. Officially, 14% of the population of Thailand is Chinese, but depending on current fashion, a far greater percent may identify themselves as "Thai-Chinese". 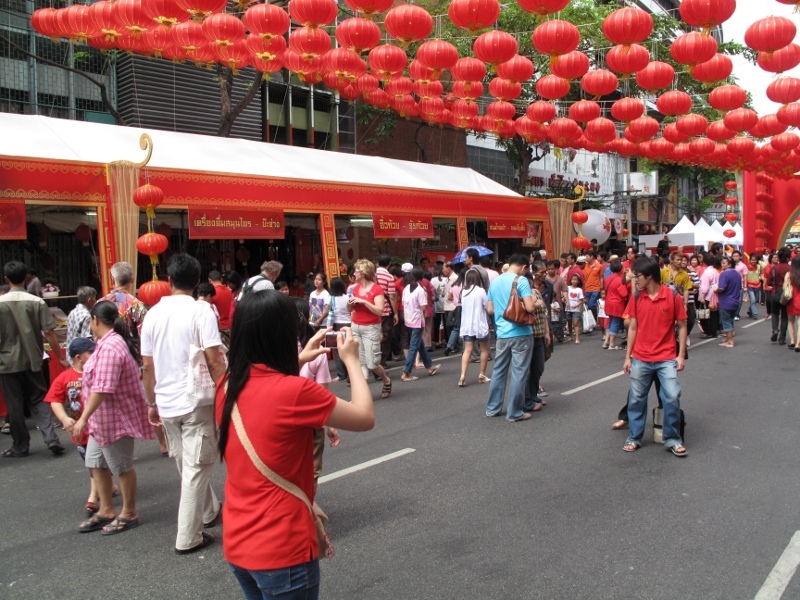 Whatever the facts may be, most Thais like any excuse for a party - or a sale - and the "Chinese" or Lunar New Year is no exception. 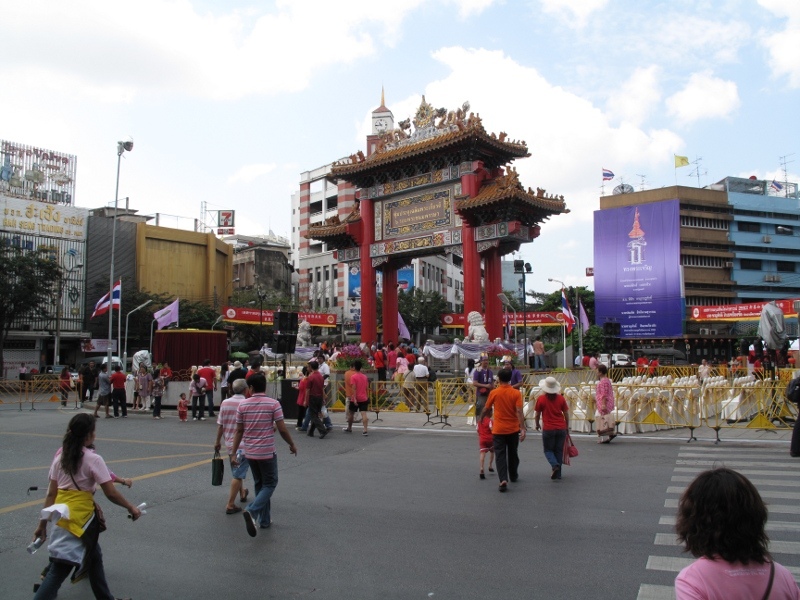 The holiday is celebrated all over Thailand, especially in those areas with large populations of Chinese, such as Bangkok, where the city's Chinatown area is usually the scene of a large block party. Red is the color of the day on Chinese New Year. It's important to note that, while there may be large celebrations on the day, the Lunar New Year is not an official national holiday. Government offices and services remain open. Some businesses may close for the day, especially when it lands on a Monday or Friday, but as with every other holiday in Thailand, most shops will remain open for business as usual. The estimated date for the next Lunar New Year is 23 February 2020. The Odeon Gate is the center of many of the official celebrations.